Treatment of major depression including relapse prevention. White, round tablets debossed with '38' on one side and 'A' on the other side with an embossed circular edge. White, round tablets debossed with '37' on one side and 'A' on the other side with an embossed circular edge. Yellow, biconvex capsule shaped film coated tablets with a score line in between '0' and '8' on one side and 'A' debossed on the other side. 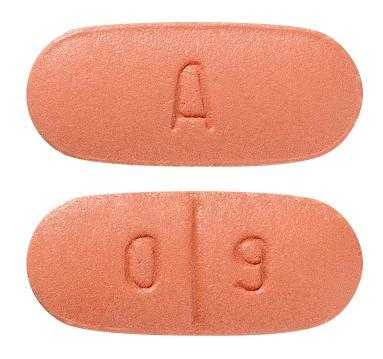 Reddish brown, biconvex capsule shaped film coated tablets with a score line in between '0' and '9' on one side and 'A' debossed on the other side. White, round tablets debossed with '36' on one side and 'A' on the other side with an embossed circular edge. White, biconvex, capsule shaped film coated tablets with '10' debossed on one side and 'A' debossed on the other side..